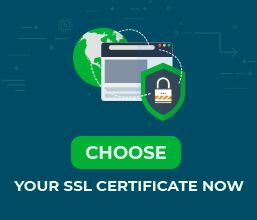 An SSL Certificate is generally used to secure a website, or, in technical terms, a Fully Qualified Domain Name (FQDN) such as “https://www.yoursite.com“. Depending on the type of certificate you order, the Certificate Authority verifies either just the domain ownership or the entire set of your company’s documents, too. But what if you want to secure an IP address instead of a website? Does it fall under the same issuing guidelines? Fortunately, it’s not only possible but in some cases, it’s also recommended to do it. Within a few paragraphs below, you’ll discover the best SSL Certificates to secure an IP address. However, bear in mind, this option is available only to officially registered organizations that need to protect a public IP address. Neither a Domain Validation certificate nor a private/intranet IP address will work for this purpose. and extra IP address use (some services require IP SSL authentication). 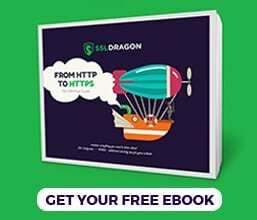 As you may have already learned, not all SSL Certificates can secure an IP address, but here at SSL Dragon, we’ve got a few special products that can accomplish this task successfully. Below, you’ll find the best SSL Certificates to secure an IP address. This Business Validation Certificate is a great, and above all, affordable option. Designed, by Comodo, an incontestable SSL industry market leader, it offers the standard key encryption and certificate encryption levels, as well as 99.3% browser compatibility. It also comes with a dynamic site seal and $250,000 warranty. With so many features available, you get great value for such a modest price of Comodo InstantSSL Premium. As you can see, you’ve got only one option when it comes to securing an IP address. All you have to do is make sure your IP address is public. At SSL Dragon, you can reduce the price of SSL Certificates even further when buying multiple years. Check the best SSL Certificates to secure an IP address in our store. Have more questions on the matter? Don’t hesitate to contact us!